An often overlook aspect of basketball is the desired rotation of the ball as it leaves the shooter’s hand. Typically, adjusting your shooting stroke to add a stable backspin to your shot yields better results because of increased control. We recognized that a basketball’s rotation is similar to a MOVA Globe’s rotation: slow, constant, and with no variation. 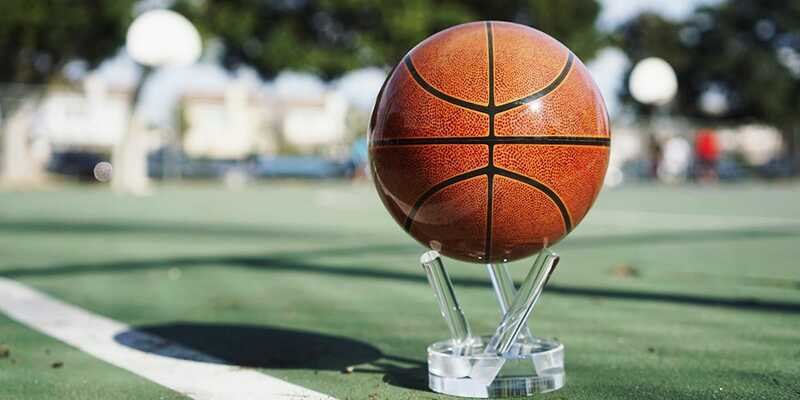 With the Basketball MOVA Globe, we’ve recreated the essence of a basketball shot as the globe’s steady but silent rotation creates wonder for any hoops fanatic watching or dreaming of playing in the NBA Finals. Our basketball design isn’t meant just to mimic the ball’s rotation; the graphic shows the thousands of “dots” (also known as pebbles) that provide a familiar feeling of the leather exterior of the ball, while the orange coloring adds to the realness of a standard basketball. 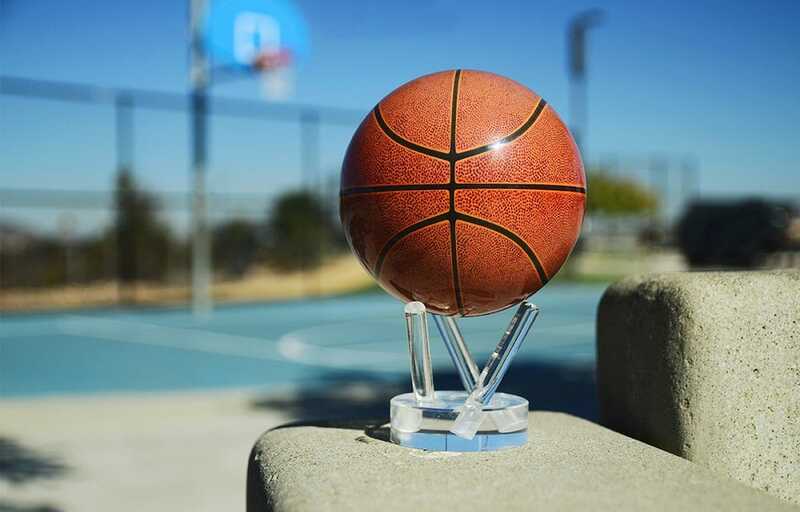 This unique globe makes a great gift for coaches or a fun desk ornament for the fan who cannot bear the emptiness of the NBA offseason. What America’s pastime lacks in fast play or flash, it makes up for in sound. What do we mean by sound? 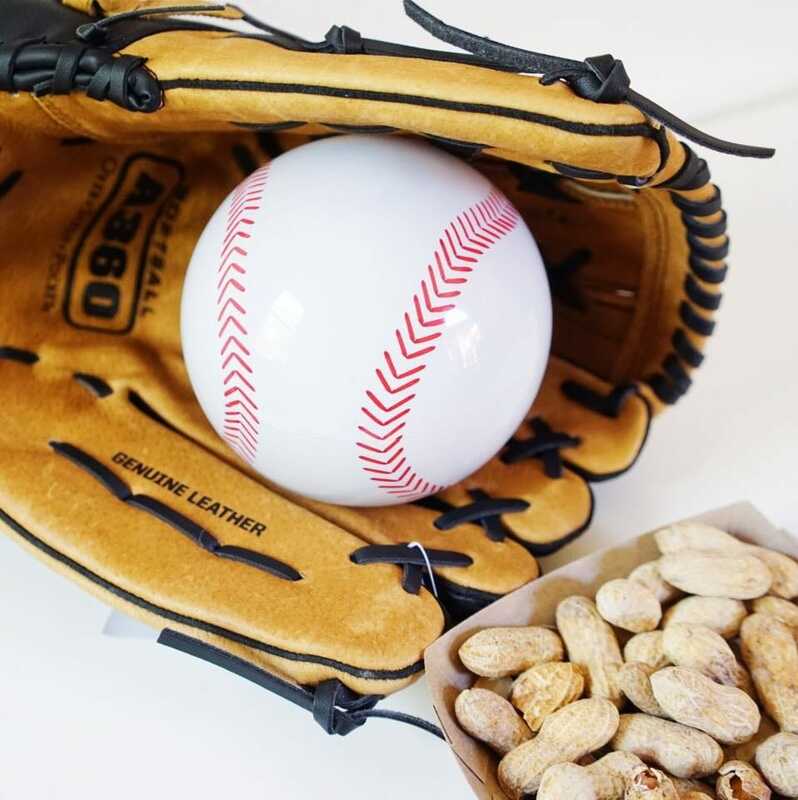 The sound of a 95 mph pitch hitting a catcher’s mitt, the sound of bat and ball connecting on a towering home run, and the sound of the home crowd’s cheering as a home team’s player rounds third base in an attempt to score the winning run. For us, creating a Baseball MOVA Globe was a no-brainer, even if our products rotate in silence. Today, baseball is becoming more and more global, especially with the advent of Little League and the hype behind the Little League World Series. America’s pastime is quickly becoming a world-wide sport. Our original baseball graphic certainly caught eyes, particularly with those who wanted to give a cool gift to their favorite baseball coaches. However, with some valuable feedback from you, we knew we could make the graphic even better – more realistic and thus more appealing to ballplayers and fans alike. The new graphic, previewed below and in the development process, better showcases the stitching of a baseball, giving it a more authentic feel. The stitching is the most identified aspect of a baseball in terms of touch. In fact, pitchers primarily use this stitching to create grips for different pitches. Millions of soccer fans emerge every four years to root for their respective countries in the World Cup, home to some of the most electrifying moments in sports history. Even without the World Cup, soccer is becoming increasingly popular in the United States as Major League Soccer draws more international superstars to US professional teams. Much like the sport of ice hockey, goals are hard to come by, and thus every opportunity is magnified in tension. Remember the last World Cup when your eyes were glued to the TV at each corner kick, only to gasp and shout in frustration when a player’s shot hit the post? That’s the life of a soccer fan. Our goal with the Soccer MOVA Globe was to keep that tension-filled feeling going all year round with its mesmerizing rotation. The graphic’s alternation between white and black and pentagons and hexagons make it easy to spot from a distance, but as with the Baseball design, we want to create a more realistic design. 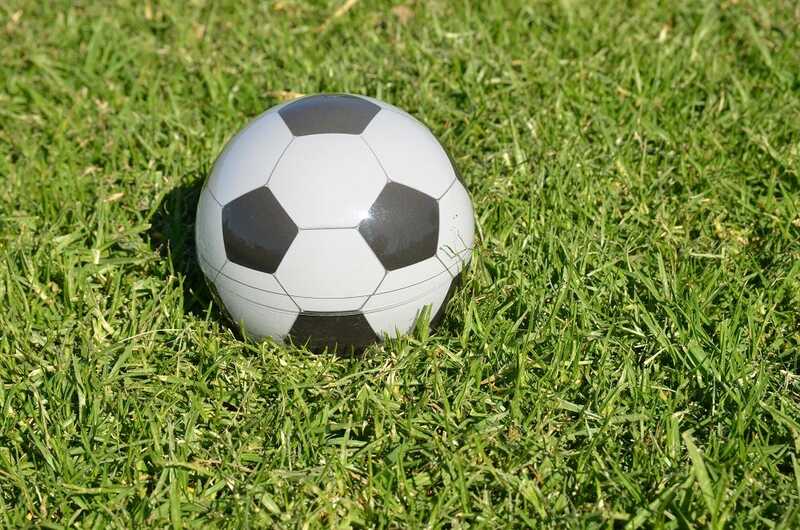 Even though it’s easy to spot, a soccer ball, like any sport ball, has a specific and unique texture, in this case a rubber exterior with tiny crevices between each line and border. Stay tuned for updates as we tweak and experiment with the soccer design. We hope to continue expanding on this new sports line as we receive more feedback and suggestions. The sports MOVA Globes are just another step for MOVA Creations as we pair our technologies with designs other than traditional world maps. Do you have any ideas for the MOVA Sport line? Fill out our idea submission form or let us know on our Facebook Page!